How can I customize test reports in Katalon Studio? Katelon Studio reports are quite good, but I want to customize reports in Katelon studio, like Proper error message, stack trace, logs , screenshots , test steps, versions, etc, etc. so they are more easily readable by anyone. 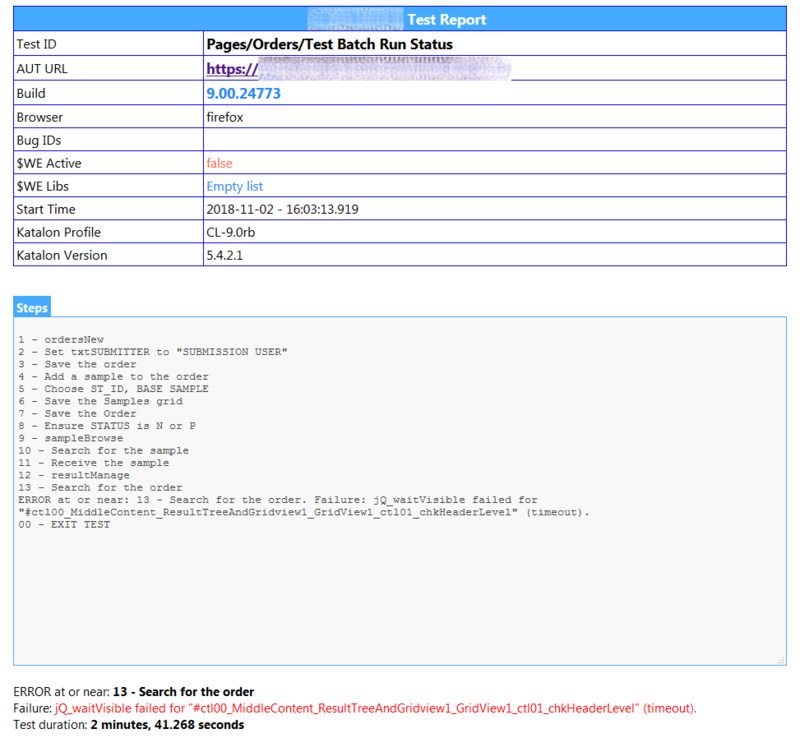 @Russ Thomas, above report looks good to me, I want to customize the same kind of report with test steps and logs file and video link, can you help me what you have used to achieve this ? Have you used any 3rd party tools ? or anything else ? Can you please provide more details on how this can be achieved? I’m sorry guys, I can’t make a reasonably concise post detailing how my system works - not to the degree that would help others. In a recent online meeting with @devalex88 and an earlier one with @Dung_Ngo, it took upwards of 30 minutes just to show them the system and the code behind it. It involves seizing some control of the startup conditions for both Test Suites and Test Cases. Test Listeners are your friends here. The listeners call into classes/methods (Custom Keywords in Katalon) that start the Reporting service functions. Every Test Case is wrapped in a try-catch block. This ensures that the details of a failure are captured and written to the Reporting classes. Every potential fail point uses markFailed and/or a throw to ensure it is caught by the try-catch block. That, in essence, is “how it works”. It should be noted, this is a very different way of using Katalon Studio than is described in the help documents. It should not be attempted by the unseasoned programmer nor is it directly supported by the Katalon Team. It is also not my intention to encourage anyone to leave the conventions behind and go the route I took. My intent when posting my earlier response was to show what can be achieved should you choose to go that route. Just want to inform that we are working on custom reporting (based on @Russ_Thomas’s demo) at this moment but it will take a while.